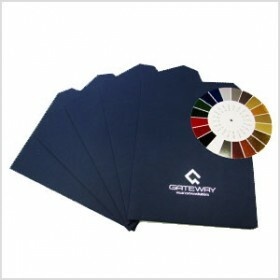 Specialty printing options will let you show the world that you are different. Create unique sales and marketing collateral that will entice your audience to investigate your product or service. These options can be added to business cards, presentation folders or any printed product to which you want to add excitement and interest. Give your sales material instant elegance by added embossing or debossing to your next project. The technique creates a three-dimensional design or image on paper, vinyl, leather, and metal. Embossing and debossing can be used to enhance business cards, presentation folders or promotional items. Achieve dynamic effects that can’t be achieved any other way, such as: shiny gold, glass, hologram, pearlized, foil-over-foil-over emboss, variable tint effects, and more. Allows you to customize your presentation folders, direct mail pieces or business cards – almost anything can be die cut. Die cutting will let you incorporate interesting cut outs for a window effect, or patterned edges – you are only limited by your imagination.